Looks like the Hippies were right all along! 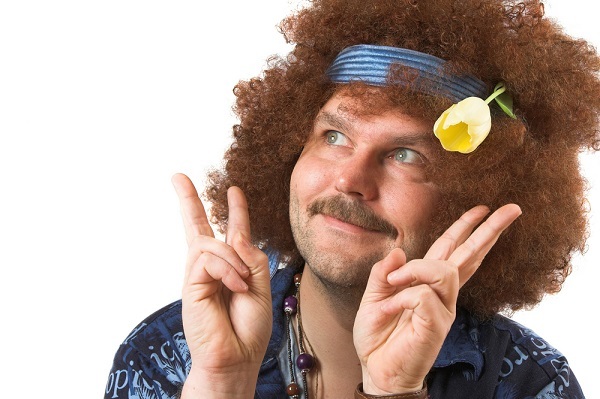 September 8, 2015 / Richard Stamps / Comments Off on Looks like the Hippies were right all along! A bit like not wearing a seat belt, most of us now feel uncomfortable about not recycling our household waste. Recycling can however be more than a way to appease your guilt as a major consumer (around a tonne of Carbon Dioxide production is saved for every tonne of re-processed material used instead of virgin), it can now also make good business sense. Many injection moulding companies now have closed loop systems that utilise small, low speed, machine side granulators, but a surprising amount of larger components still find their way to landfill. These could just as easily be sold to specialised recycling companies. As you would expect, the majority (around 53%) of recycled plastic comes from ‘kerb side collection’ of packaging materials. 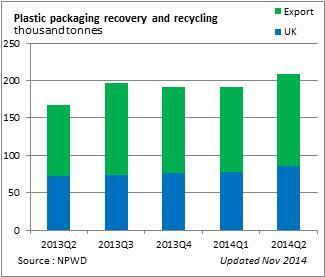 Of the 1,218,000 tonnes of packaging thought to have been consumed in UK households last year, around 464,400 tonnes found its way back into the system. Much of this recovered material takes the form of plastic bottles, and these usually end up being ‘cannibalised’, ending up as yet more bottles. As the below chart shows, we also still export more plastic waste than we use! This is because of a global demand that exceeds supply, so why aren’t we making more of our own resources? The answer may well be ignorance of what is available. Car manufacturers have taken the lead, mainly to meet the requirements of European legislation, but as a result, even cabin grade components are now being produced with a high content of recovered plastic. Many of the companies listed in the dedicated PlastikCity Recycled Material section not only offer basic ‘flaked’ material for less demanding applications, they also have compounding lines that can provide MFI specific grades of HDPE, PP and HIPS that include specified additives (such as UV stabilisers and fillers) and can be produced in various colours and colour-matched blacks. I won’t be suggesting that you should break out the flares and hide the shampoo just yet, but I would suggest you help your bottom line (and yes, OK , the Planet) by looking into using recycled materials. Can you achieve S.M.E.D. on a budget?